I haven’t written much about grieving here. Part of that is because this is a blog about fitness, and a large part is that I’m not comfortable grieving so publicly. But in an indoor cycling class recently I thought it might be okay to write about how working out has helped me the last 3.5 months. Running has long been my way of relaxing. After hard days, I run. Before busy days, I run. Before exams or interviews or important meetings, I run. It clears my head. It’s my meditation. It keeps me centered and sane. As I wrote before, my dad taught me to love running so it’s fitting that running is when I can be most present with grief. Why so many sweaty hugs?! 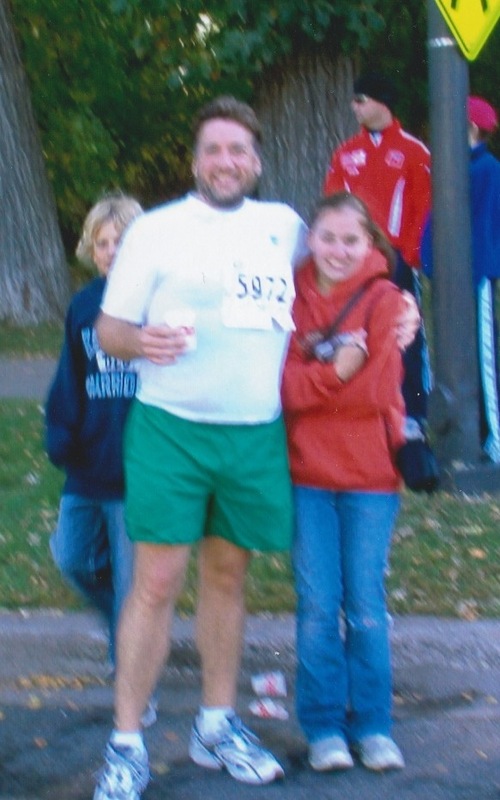 For many weeks after my dad died, I only ran when I had plans to run with someone else. When I started running by myself again, it confirmed what I already knew: running is the best medicine. Running is my time when I can simply be, whether that’s in grief or however else I am at the time. I don’t have to think about what else I should be doing, or who I am with. I can just be. As much as I complain about spinning, there’s something about the class being so demanding and requiring focus on what I’m doing, that it’s really easy to zone out of everything else and just focus on spinning my legs as fast or hard as I can. At one point this week I was so focused on the spinning and oblivious to other things that I continued doing jumps after everyone else was back down. I’ve always felt much better when I exercise regularly, to the point that when I’m having a bad day my sister-in-law will ask if I’ve worked out. These days, working out is what allows me to have the time to be still (while moving, of course), feel whatever I need to feel, and prepare myself for the day.